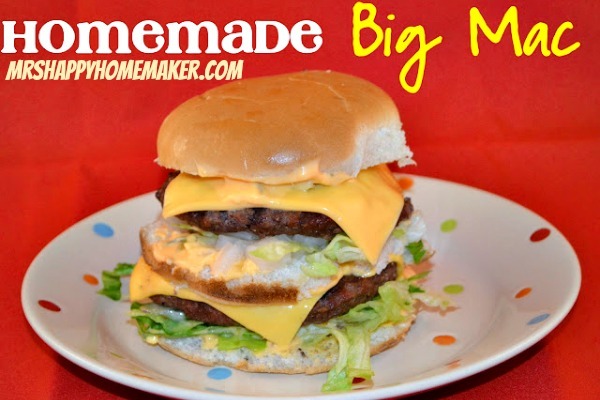 Two all beef patties, special sauce, lettuce, cheese, pickles, onions on a sesame seed bun – the HOMEMADE Big Mac recipe is here! 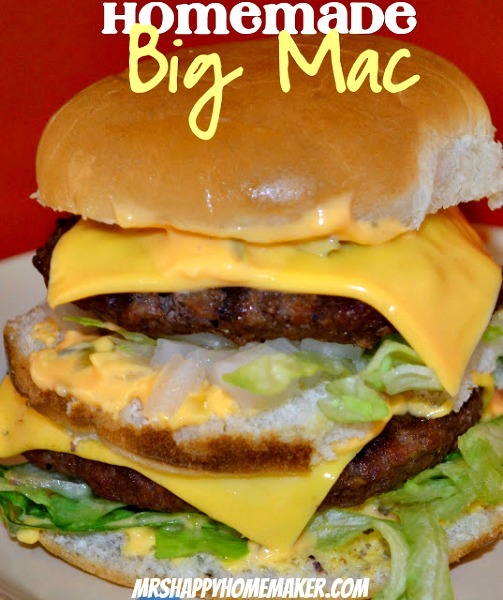 After this blog post, I will have the Big Mac jingle stuck in your head. It’s all in my master plan. Big Macs are probably the most widely known fast food item. They’re everywhere. They are obviously very well loved. I know that I have always been a fan. As a young girl, I had some health issues that required some hospital time and surgery, and upon my release – I had to drink the nastiest, most wretched medicine known to man – or in this case, woman. My parents got me to finish the medicine my bribing with with the promise of a Big Mac upon the completion of the dose. Oh yes – Mama & Daddy – I have ratted you out! I can hear Daddy now while he’s reading this. “Well, it worked – didn’t it?“ It sure did, Daddy! 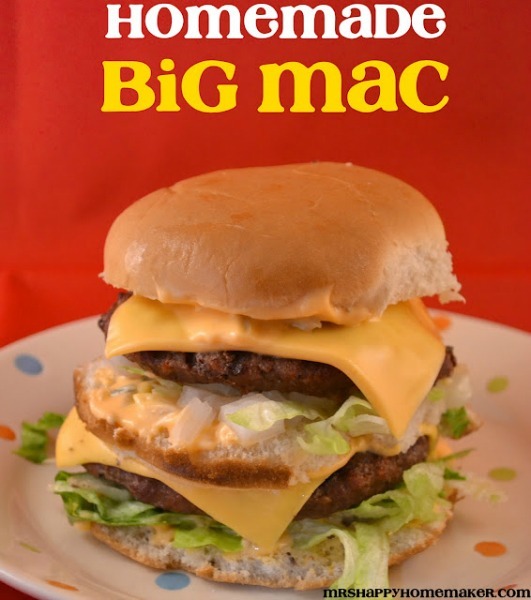 I have always been a fan of the Big Mac, but quite honestly – I’d much rather have one homemade than the drive-thru these days. Naturally, cloning a Big Mac was at the top of my life goals. 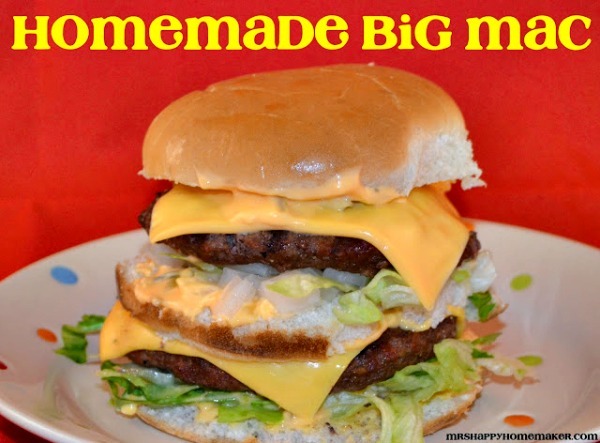 And, I am happy to report – Mission Clone the Big Mac is complete! Heck, I think it may even be better than the original. Combine all the ingredients together. 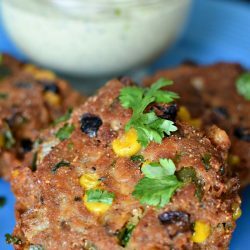 Cover, and refrigerate for at least 2 hours before assembling your burger. *To make the Big Mac signature buns, slice the top bun in half using a serrated knife. Of course, it’s not necessary. 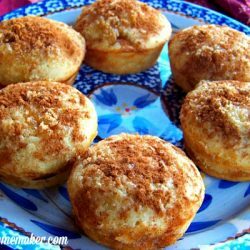 The flavors are the same regardless. Assemble the burger as desired. 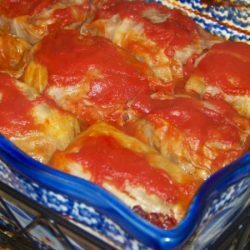 I did bottom bun with sauce, lettuce, onion, hamburger, cheese – then middle bun topped with sauce, lettuce, onion, hamburger, cheese, & more sauce followed by the top bun. Thanks. My kids enjoyed it, and frankly, I thought it was better than the original.